The last couple of weeks have been about PING. PING i15, PING G15 and, now, an exciting new range of PING putters including the iN and JAS range. Our latest video reviews should help you decide what clubs are for you. On Tour, and the season’s final Major is upon us. It doesn’t seem that long ago that Angel Cabrera slipped on the Green Jacket, but here we are talking about whether it’s going to be a Majorless season for Tiger Woods – not likely at the time of writing. Keep up to date with the goings on at Hazeltine courtesy of our USPGA microsite and Paul Mahoney’s blogs from Minnesota. As our October Issue hits the shelves, you’ll have the chance to win some fantastic new prizes on our competition pages. 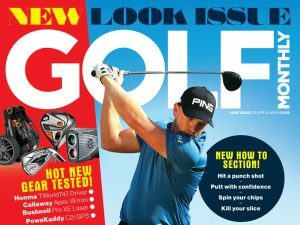 This month we’re giving away once-in-a-lifetime golfing trips to Portugal and Fairmont St Andrews. Enter now online and get your name in the hat. Here’s a question for you: Is it Okay to wear shorts on the golf course? An innocent question posed in the office when summer threatened in June, but one that caused no end of debate on the 9th floor of the Blue Fin Building, as well as in the Golf Monthly Forum. Join in and have your say on our latest poll.